If you have been lucky enough to visit the Northern NSW region, you'll know all about the beautiful beaches that lie on the coast and the quirky townships that come with it. But if you're at all like me and don't like the crowds of popular beaches whenever it starts to warm up - then take a look at these 8 amazing places to go for a swim under waterfalls amongst rainforest, National Parks and creeks in the beautiful Northern Rivers area of NSW. 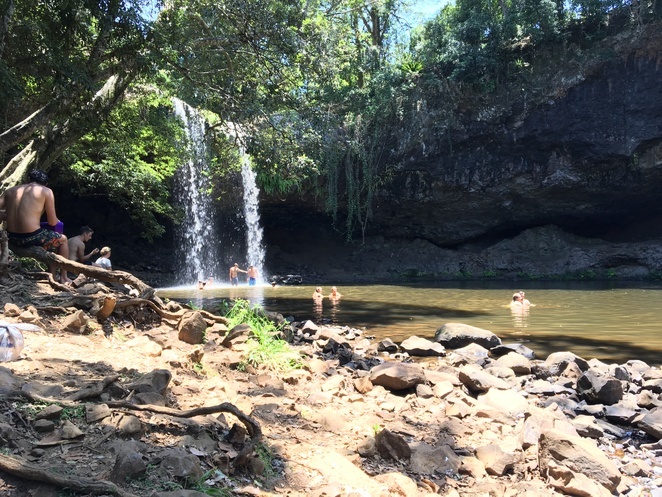 Killen Falls is one of the most well-known and popular waterfalls near Byron Bay. It is only a twenty minute drive to the nearby town of Tintenbar and it's easy to see why this place gets so crowded. It is actually the first waterfall that I ever swam under. It's still a favourite of mine to swim and explore the cave-like feature behind the waterfall. If you'd like a tip; make a visit once the region has had rainfall because it is an impressive site from either the lookout or at the base of Killen Falls. The second for this list is technically on Private Property but is still open to the public for a leisurely cool swim. 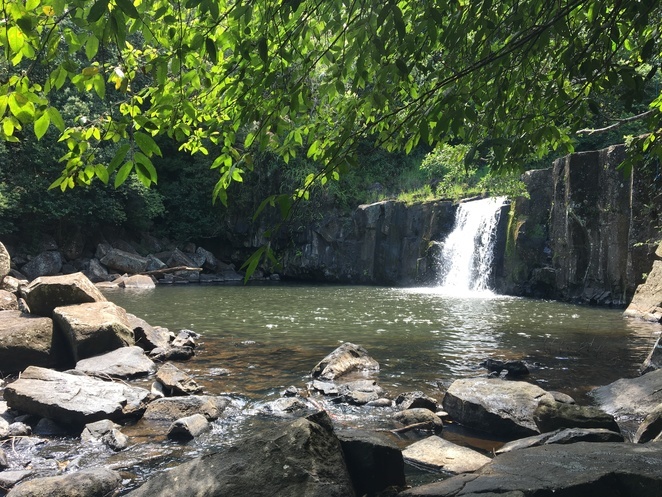 Dalwood Falls is located five minutes from the town of Alstonville off Dalwood Road. Dalwood is a great place to escape the crowds on Ballina & Byron Bay beaches, but beware it is an extremely cold swim (perfect for summer!). 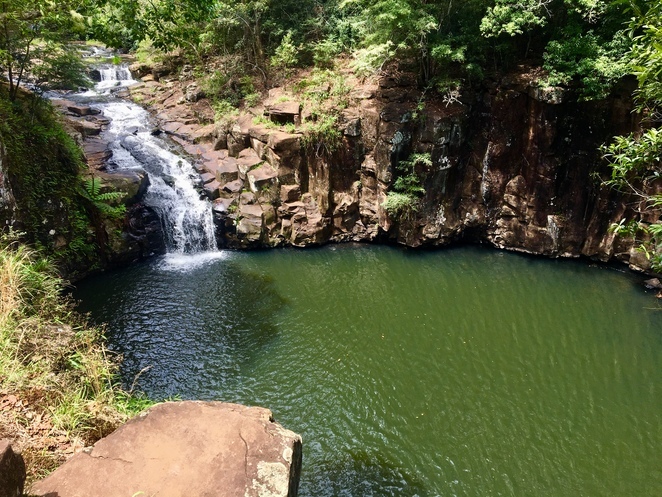 The feature of the "walls" surrounding the waterfall makes for a nice little swimming hole, but please observe the signs and don't launch yourself into the pool from the cliff sides. There have been injuries and fatalities at the site. 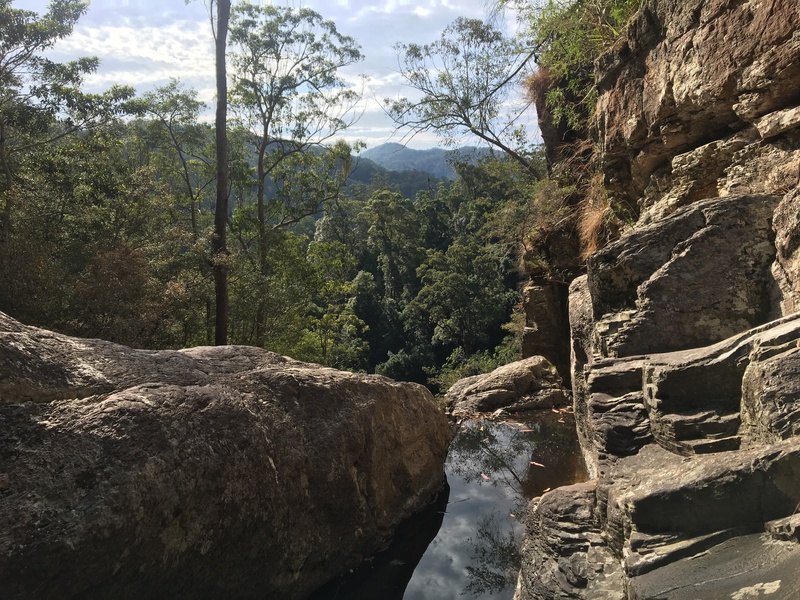 The multiple swimming holes of Hell Hole Falls lies in Mount Jerusalem National Park, NSW. It is an hours walk from the start of the trail to the falls and trust me you'll work up a thirst to go for a swim! But if you keep a lookout on your walk, you'll notice a flourish of birds call this park home. 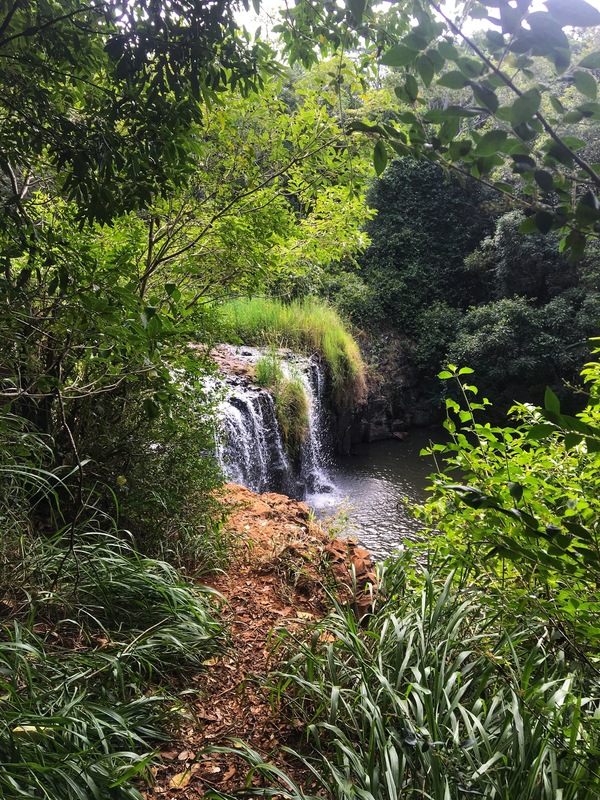 These falls are located in a protection zone for a variety of endangered species of birdlife so please be extra careful with your impact you leave behind on the trail and falls. This one was truly a magical gem. 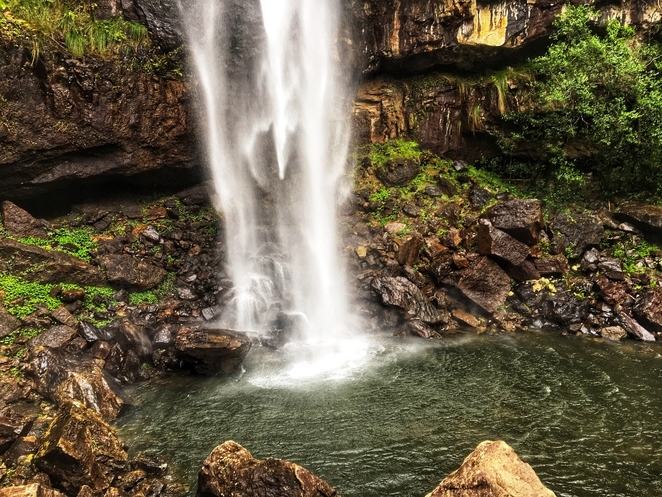 Unicorn Falls is located in Mount Jerusalem NP also, just near Chowan Creek, NSW. There are two large swimming holes, although I wasn't game enough for a dip, on a hot day it'd be an amazing place to cool down. The base of the falls runs on to a series of mini-falls so if you're game with a few insects joining you - you can make your way down the end of the creek. Unicorn Falls does not have any facilities nearby so travel light if you do decide to check it out. 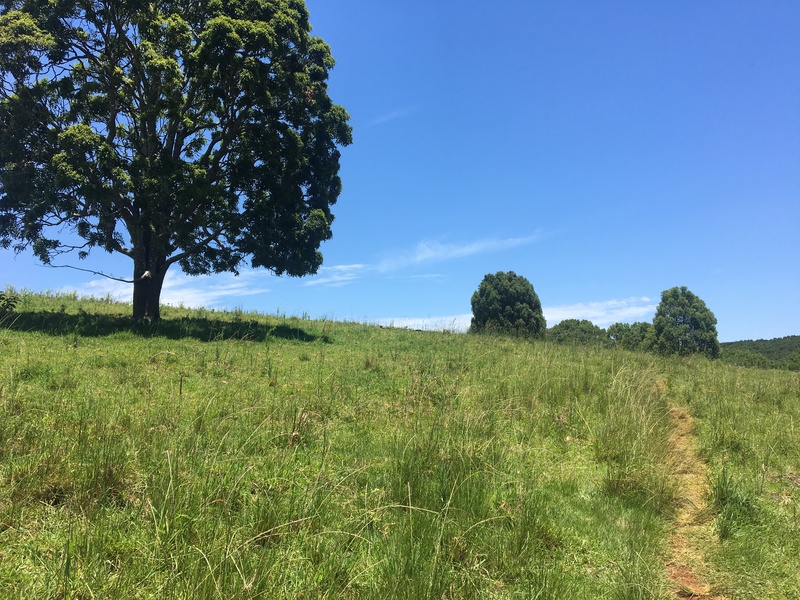 It makes for a really great day trip from nearby towns such as Lismore, Byron Bay or Ballina. Just be sure to head to the northern-most part of the expansive National Park. The impressive Whian Whian Falls is located in the Conservation Area near Nightcap National Park. After visiting this waterfall after heavy rainfall, it is one of the largest I've ever had the chance to swim under. A smooth-sweeping current made paddling a breeze and rock-hopping reveals small pools into the rocky outlay. This waterfall is a 10/10 in my books. Easily accessed and carparks are plentiful, Whian Whian makes for a great day trip to have a picnic and wild swim amongst Nightcap NP. 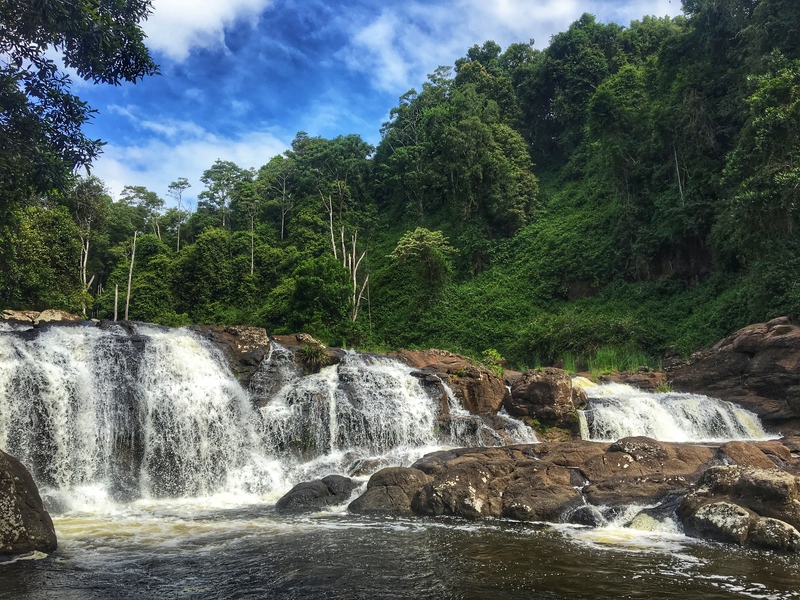 Easily Nightcap National Park's grandest waterfall, it plunges into a large pool surrounded by World Heritage listed Rainforest. 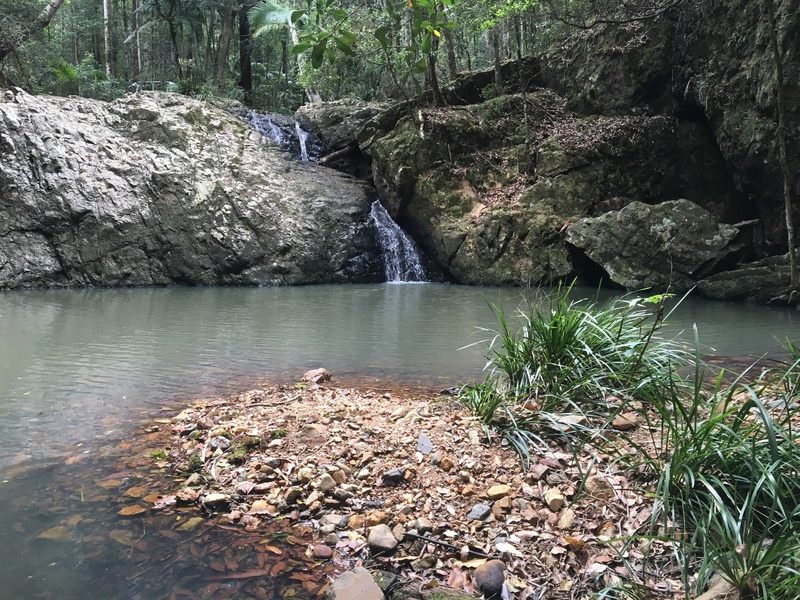 Unfortunately you aren't able to swim at Protestor Falls but it is well worth the 1.4km return track to enjoy the sight of it cascading and blowing with the wind. When I first visited Protestor Falls, the spray alone cooled me down and managed to saturate me! But the sound of the protected Fleay's Barred Frog echoed throughout the trees & birds chirping makes Nightcap a otherworldly must-do experience. This place was definitely a favourite. In the small town of Rous you will find Marom Creek Falls or just Marom Falls. It is a double waterfall located on private property that is only accesible after a fifteen minute walk through a paddock. On a hot summer's day I struggled, but it was definitely an easy decision to swim! When I visited Marom Falls, there were a lot of people jumping from the edge of the cliff. Unfortunately, I'm afraid of heights so I managed to find the trail to climb down a easy rock face instead of jump to get to the base for a cool swim. In the country town of Alstonville, the locals on a hot summer's day seem to flock to Tosha Falls. Just five minutes from the town CBD and a short five minute walk leads you into a tropical oasis. The waterfall can be viewed and swum in thanks to Ballina Council who have initated work to make it more attractive to tourists. The place was extremely clean & the water was cold but refreshing once you're in! Great article and pics Chloe. Lots of places I was unaware of. Thanks for sharing. Good article Chloe, you certainly capture those waterfalls well!